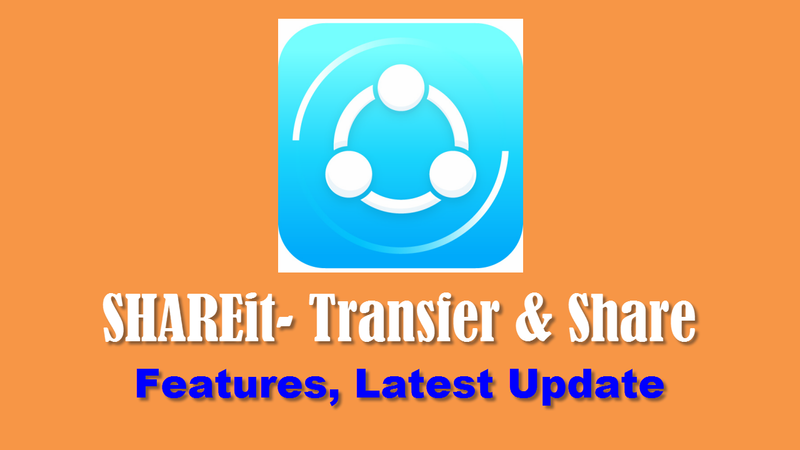 SHAREit is one of the most popular and most used file transfer application amongst Smartphone users. Users can transfer any kind of files using SHAREit including photos, videos, movies, music, GIF's, apps, contacts, wallpapers and even more. The main reason behind its popularity is that its way more faster than traditional Bluetooth and NFC method to transfer file. SHAREit application is developed by Shareit Information Technology Co. Ltd. The application is available on Android, iOS, Windows 10 Mobile, Windows NT amd macOS. SHAREit app currently available in 39 languages including English, Russian, French, Spanish, Chinese, Arabic, Hindi etc. If you don't know, there are many other apps from the house of SHAREit, such as- LOCKit, LISTENit, CLEANit and CLONEit. 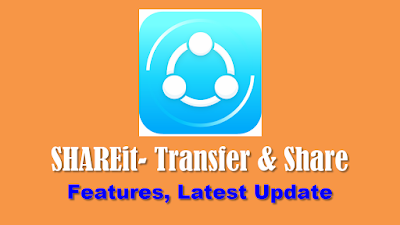 Shareit offers many interesting features to transfer files than its competitors like Xender, Zapya, SuperBeam. Lets check out all features of Shareit Android app. 1. Fastest Transfer: 200 times faster than Bluetooth, the highest speed goes up to 20M/s. Transfer files without losing quality. 2. Transfer everything: Photos, videos, music, installed apps and any other files. Always update the app to enjoy best performance and smooth user experience. The latest version of the app contains improvements in- optimize the playback experience, support gesture fast forward and rewind, and improve transmission compatibility. For first time users, go to the below link to get the SHAREit latest application. Or you can directly open Play Store app from your phone and search for SHAREit app and tap on install. Existing users will get Update option instead of Install if there any update available.